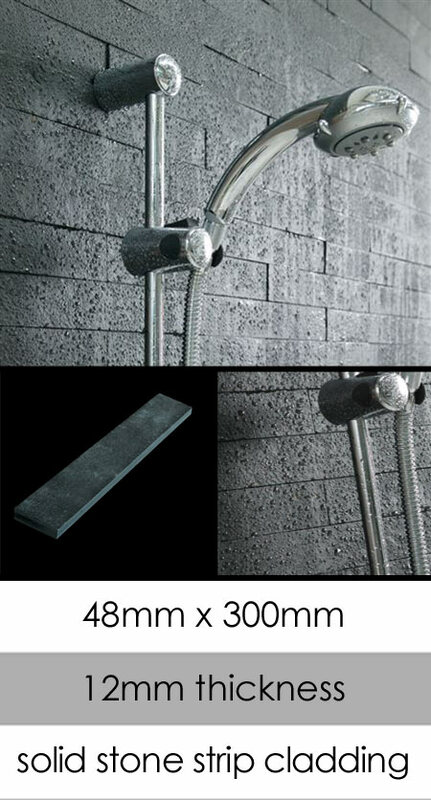 The individual styling of these black stone cladding tiles gives a great design feature to any interior design project. Each individual stone tiles has a natural split surface. * Solid stone strip cladding.